View our virtual 3D tour! 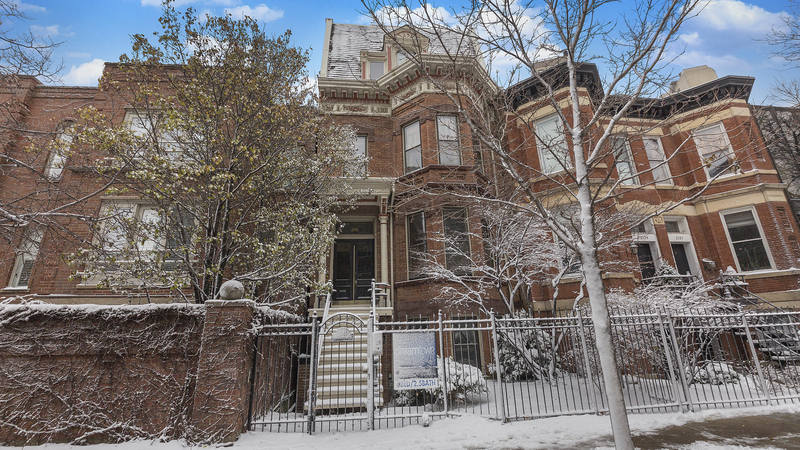 Rarely available updated vintage East Lincoln Park Duplex UP! 3 spacious beds & 2.5 luxurious baths. 2500 sq ft of sun drenched vintage charm. Situated in the Lincoln School district steps from all that Lincoln Park has to offer. The huge main LR includes a unique vintage marble w/b fp w/ gas log/starter and a floor to ceiling bookcase. Updated granite/ss kitchen incl Grohe, Toto & Bosch w/ custom built cabinets & a spacious granite island for creating culinary delights & entertaining. The kitchen leads to an attached formal dr, sitting room & a huge 18&apos; x 14&apos; private deck complete w/ a live birch tree for outdoor entertaining. There is a powder room on the 1st flr adj to the kitchen. A stairway leads to the mbr suite w/adj sitting room that overlooks the birch tree. The spacious 2nd br features another marble vintage wb fp w/ gas log/starter. The 3rd br is perfect for a nursery or an office. Tons of storage & off-alley garage parking included! Low assessment!